New strains of wine yeast are continuously being isolated and adopted by commercial vineyards but, as with so much regarding winemaking, they remain a closely guarded secret. Vintner’s Harvest entered into an exclusive yeast strain screening program with a leading yeast and ingredient supplier to the European commercial winemaking industry. 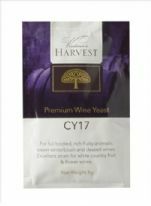 This program considered only specialist wine yeast strains used commercially in Europe and identified a complete wine yeast range for all varieties of Grape, Fruit and Vegetables. The screening process involved 3,000 separate fermentations over a two year period. 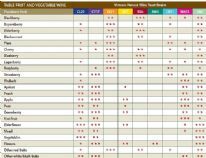 To help you select the best wine yeast strain, click on the Selection Charts below (click on the product, and then click on the image to see the information in high resolution). To see the full description, click on the wine strain of interest.